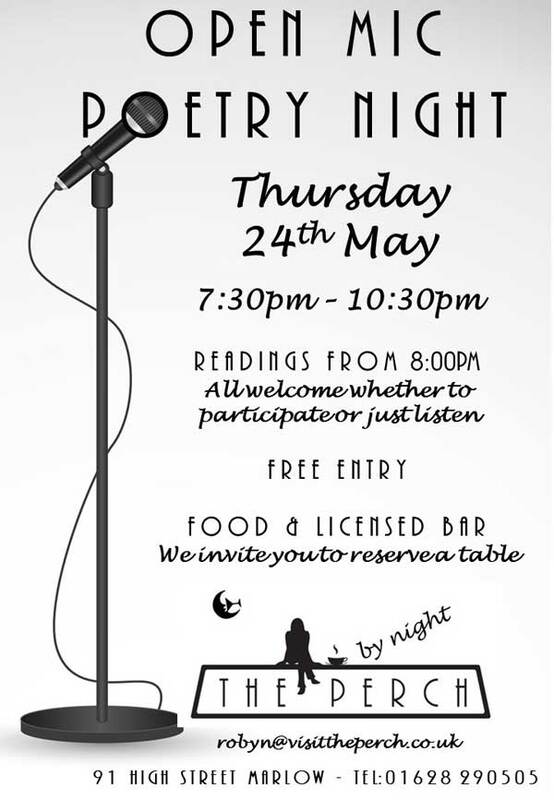 We're looking forward to hosting our third Open Mic Poetry Night on Thursday 24 May and we hope to see some familiar faces as well as some new ones. This is becoming a popular event at The Perch so if you haven't been before, don't be shy! Everyone is welcome. Come and read a poem you've written, or a favourite that someone else has written. Or just come and listen to what everyone else has to say - it'll be entertaining either way! The bar will be open. Usual refreshments also available. Please let us know if you'd like us to reserve you a table for you and your friends.